The FAAM headquarters consists of our offices, aircraft and instrument laboratory and the aircraft hangar. 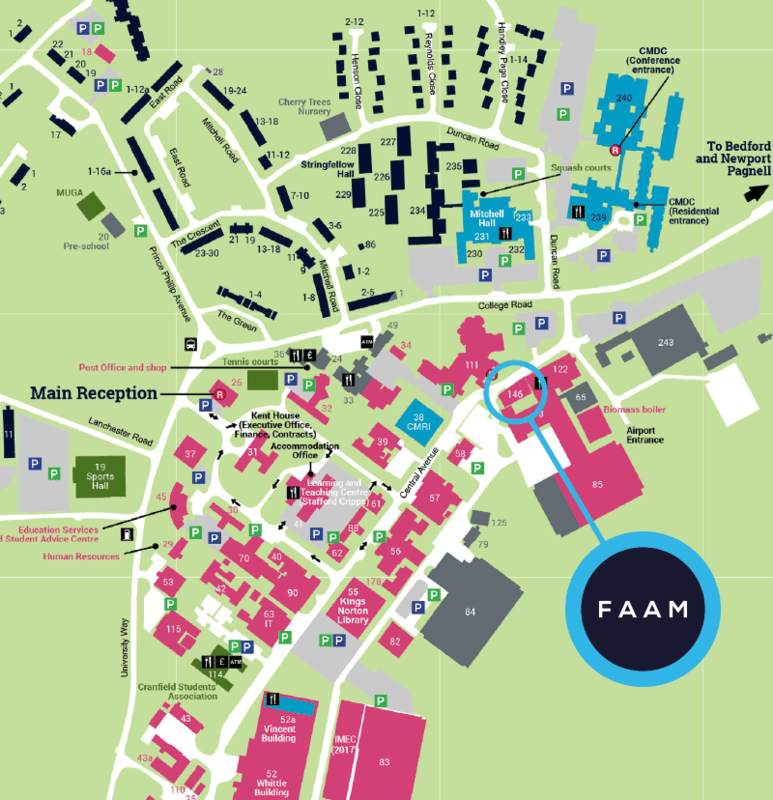 FAAM Headquarters are situated in building 146 with the hangar and instrument laboratory in building 85. The DirectFlight Headquarters are located at Trent House, not far from FAAM headquarters. Cranfield University main reception is located in Building 26. Download the Campus map. All visitors to Cranfield need to register their vehicle in order to park on site. This can be done by either going to B26 Main Reception & Security on arrival and requesting a parking permit to display on their vehicle or by completing the Cranfield University temporary parking registration form.